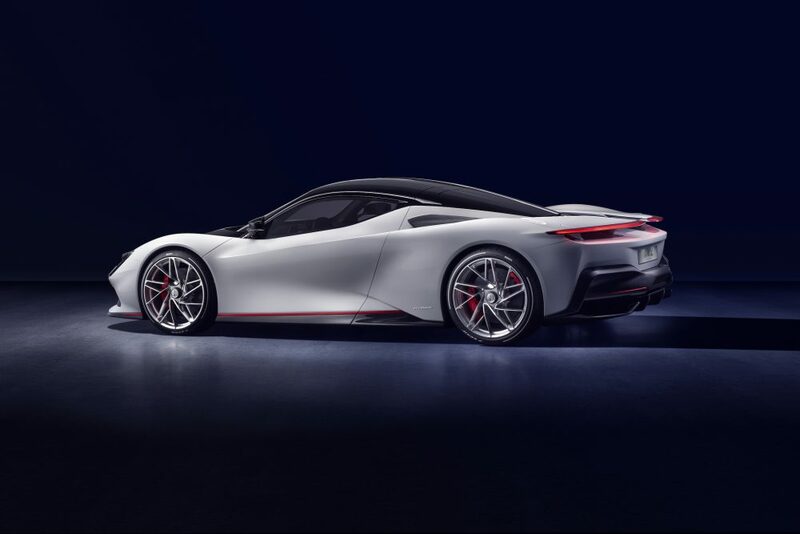 Here it is at last, the first full reveal of the all-electric Pininfarina Battista, promised to be the most powerful car ever designed and built in Italy when it’s launched in 2020. 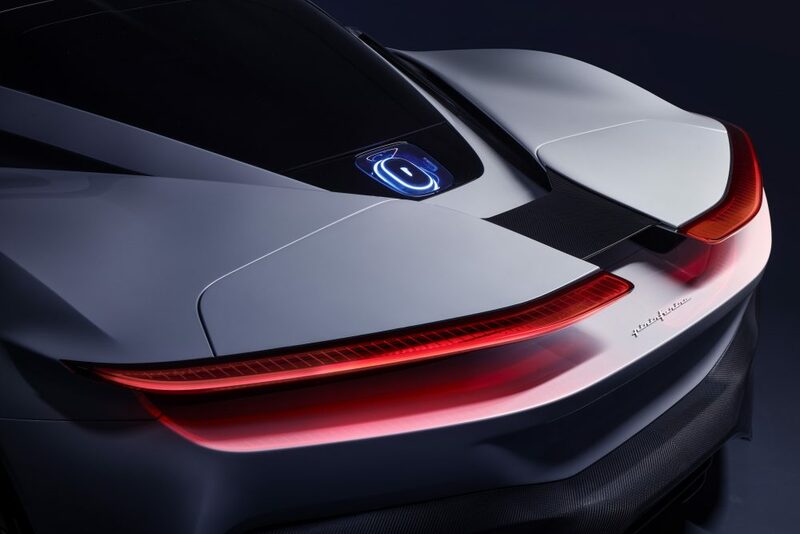 It’s also claimed that it will deliver “performance that is unachievable today in any road-legal sports car featuring internal combustion engine technology” and that it will be faster than a current Formula 1 race car from 0-62mph, at under two seconds. 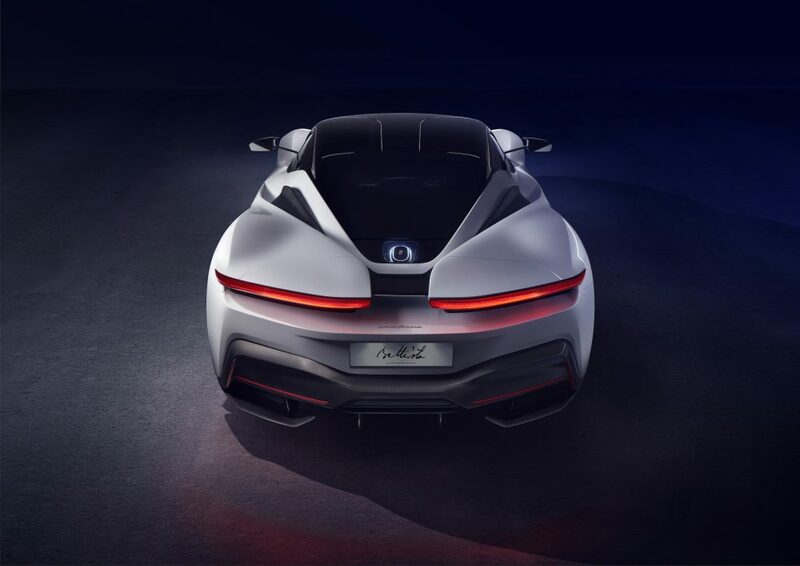 Its 0-300 km/h (186mph) is said to be less than 12 seconds and its top speed 217mph, with a potential zero-emissions range of up to 280 miles, power of 1900hp and a massive 1700lb ft of torque. 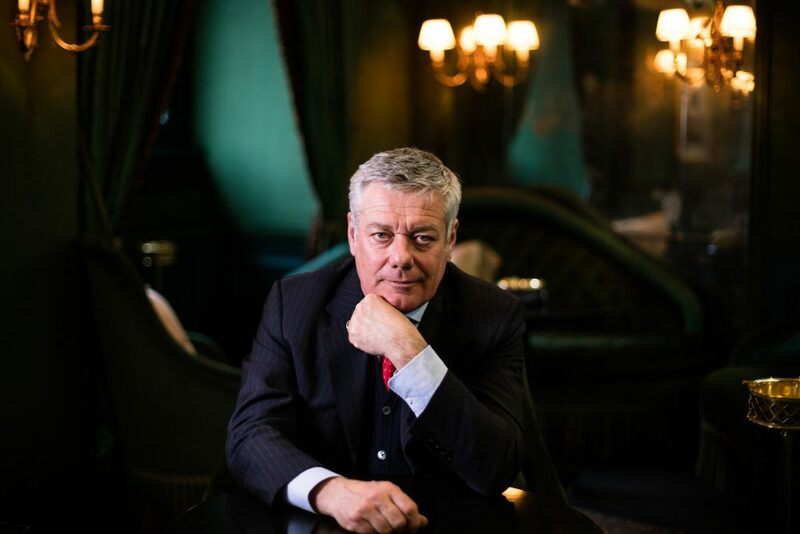 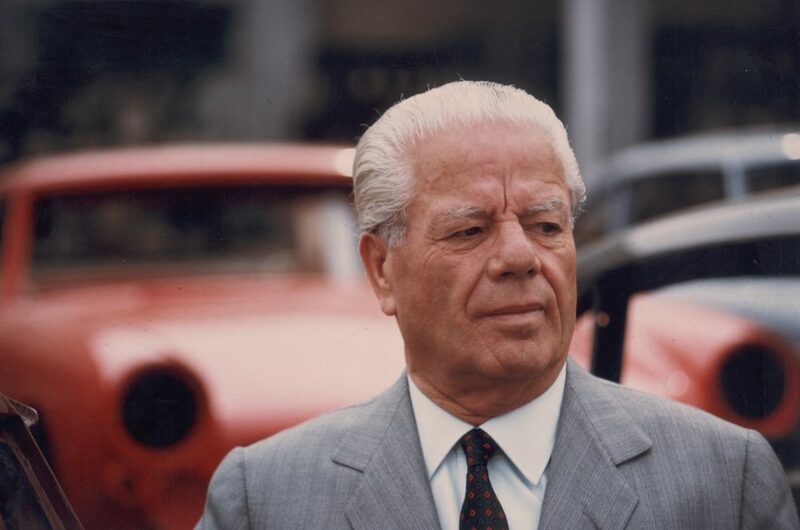 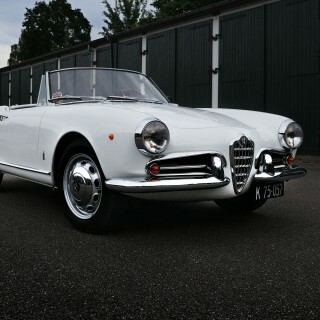 It’s named after Battista “Pinin” Farina (below left), the founder of the legendary design house, which in 2020 celebrates its 90th anniversary—and it’s the first car to carry the Pininfarina name as a brand, delivering a long-held dream for the family, which started with Battista and carried on through son Sergio and grandson Paolo (below right), the current Pininfarina SpA chairman. 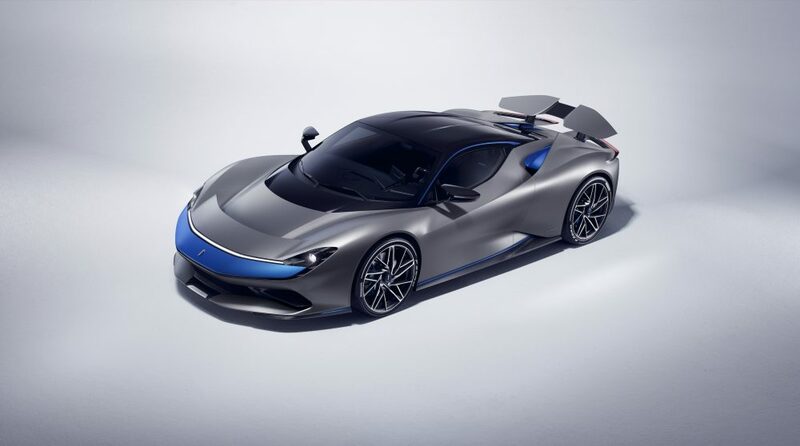 Underneath the newly-revealed carbon fiber bodywork is a carbon fiber monocoque chassis, which carries a T-shaped 120kWh battery pack, with four motors independently distributing torque and power to each wheel, developed in collaboration with Rimac. 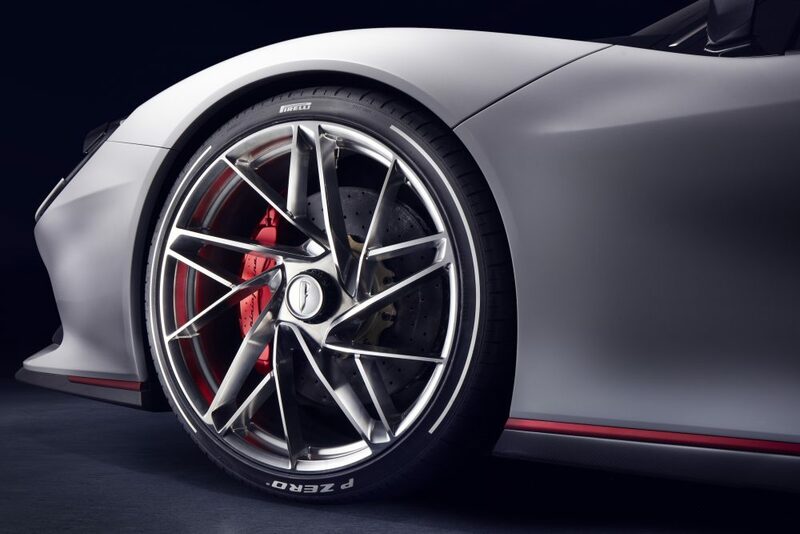 Braking is by carbon-ceramic discs (390mm at the front and 380mm at the rear) and six-piston calipers, plus an air-brake function from the active rear wing. 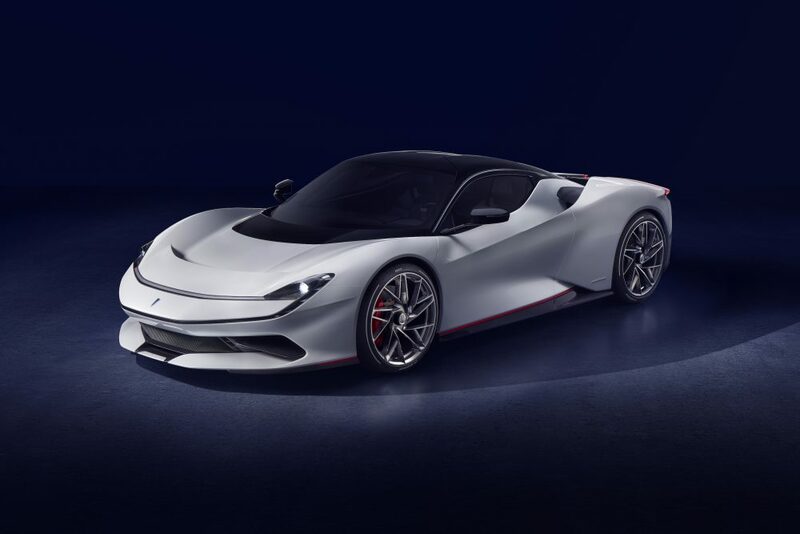 It’s no surprise that the suspension is electronically adjustable, but Pininfarina also says that the driver will be able to tailor the sound settings of Battista “from the sound of silence to bespoke aural experiences”, with an on-board sound programme that “will focus on using vehicle hardware to generate acoustic pleasure, rather than generation of artificial sounds”. 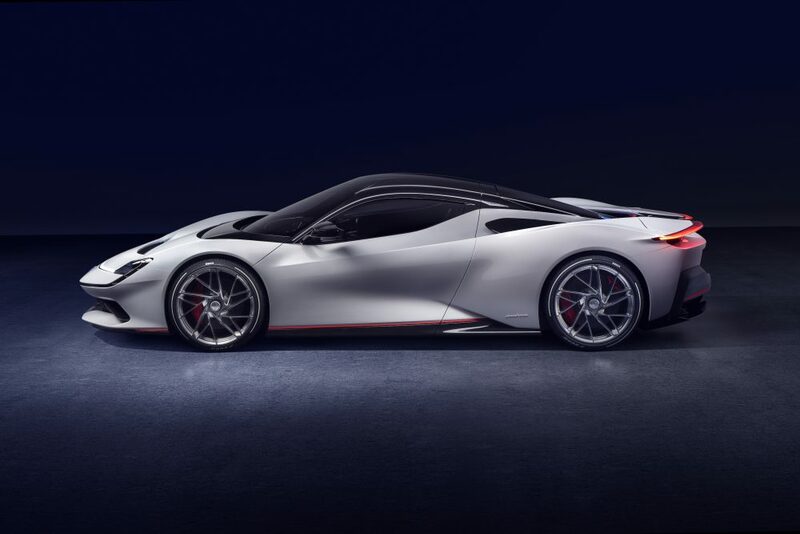 The styling is the result of a collaboration between the recently-formed Automobili Pininfarina and the legendary Pininfarina SpA design house, which celebrates its 90th anniversary in 2020. 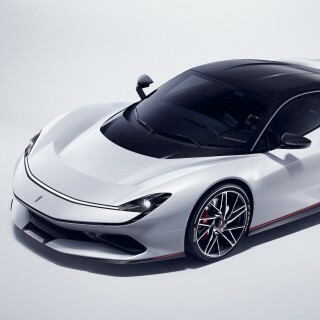 The looks are said to be inspired by, and pay homage to, famous Pininfarina designs such as the Cisitalia 202, Ferrari Dino Berlinetta Speciale, Ferrari Modulo, and Sintesi concept cars; certainly the Battista has a typically clean Pininfarina, much simpler than most recent hypercars. 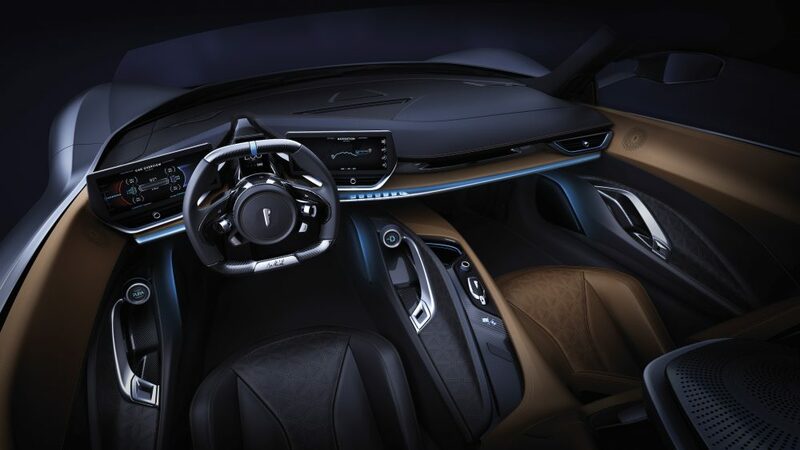 A design line encircles the car to create a classic teardrop cabin shape, which is again typical of many iconic Pininfarina designs, and there’s a neat line of aluminium connecting A- to B-pillar, which ends just above a carbon fibre bridge that connects the cabin to the rear flank and channels air into the rear cooling zone. 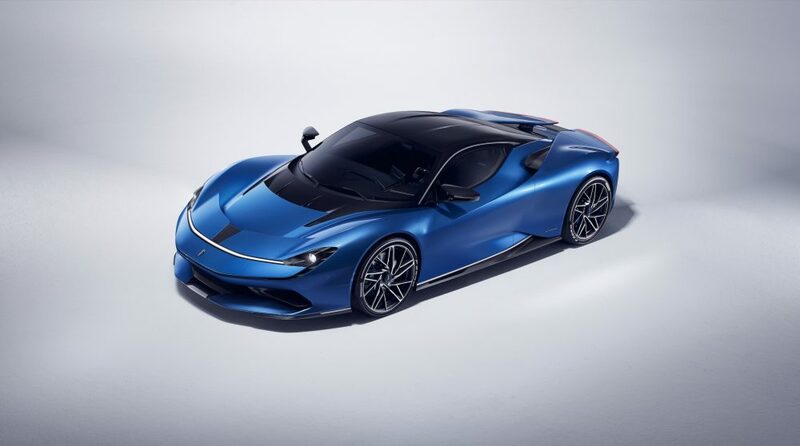 Three examples of the Battista will be shown at the 2019 Geneva International Motor Show. 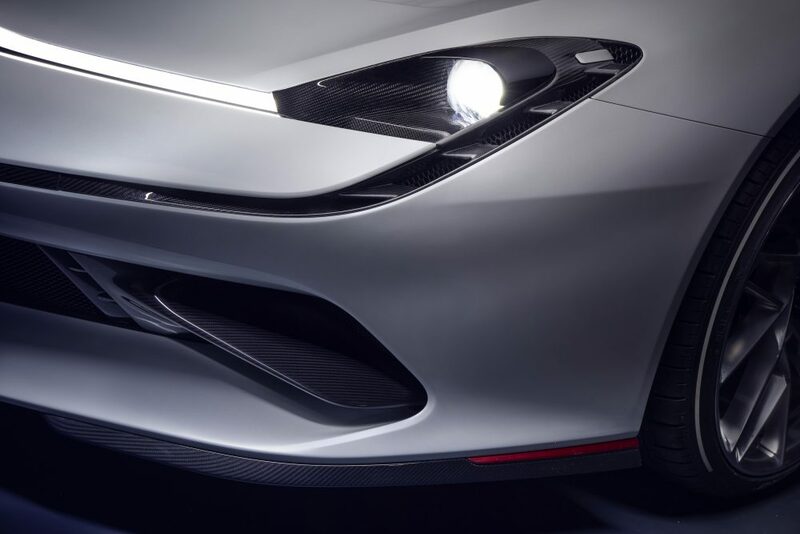 The pearlescent white car, which will be on the Pininfarina SpA stand, references the legendary Ferrari Modulo concept with little touches of red, including a red aluminum line along the flanks between the rocker and door, immediately ahead of the front wheel and running along the back from the rear wheels. 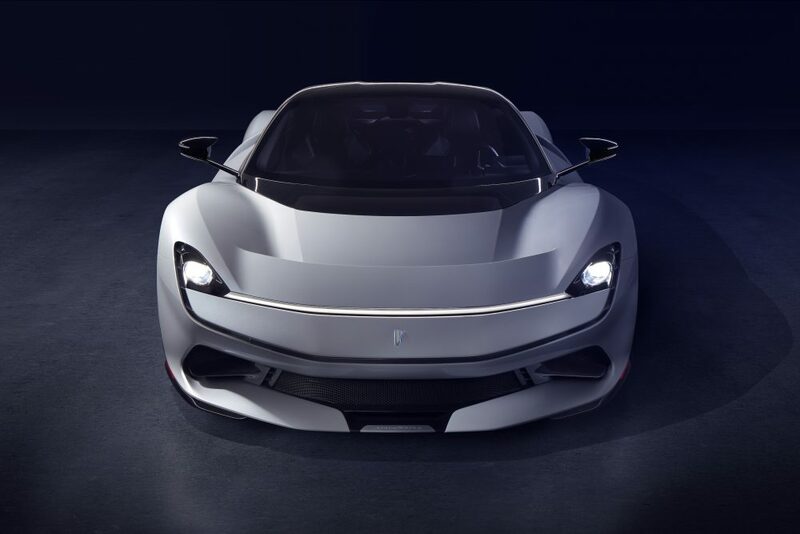 On the Automobili Pininfarina stand will be the matte grey Battista, with a tan over black interior, with the third in a modern take on Pininfarina’s traditional blue, showing roof modifications, carbon fiber blades between hood and windscreen and other design options. 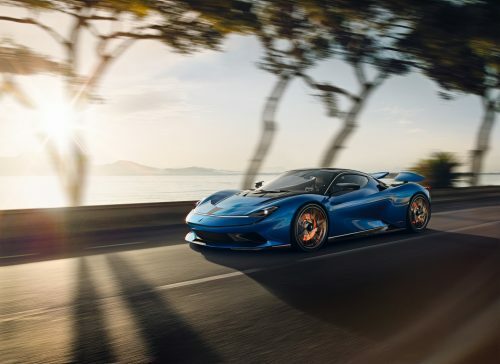 With 4 electric motors independently controlled you could torque vector to the point that you could skid steer the car like a tank at a standstill. 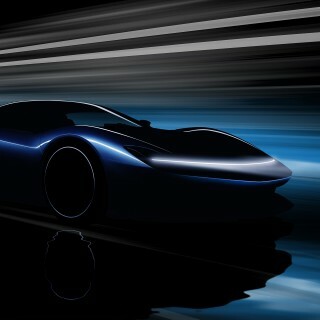 This level of steering control could be incredible by controlling the speed of all 4 wheels in a corner.